El Rufai says Apostle Johnson Suleiman should tell him date of his death! Hahahaha this is funny.You must have heard of the spat between Apostle Johnson Suleiman and ,Nasir-El-Rufai. 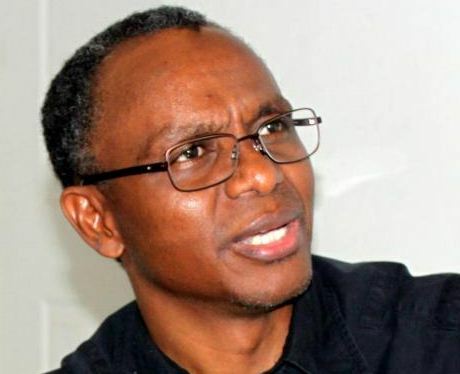 Following a warning by Apostle Johnson Suleiman of Omega Fire Ministries (OFM)that governor of Kaduna state,Nasir-El-Rufai would die if he doesn't revoke the religious bill,the governor has asked him to give a specific date ..
"I have not seen anyone talking about Islam actually. Most of the people that say I would die, as if I would not die, are people who call themselves Christian clergy. Of course, I will die. If that apostle is truly an apostle, he should mention the day I will die. There is nothing in that law that prevents or infringes the practice of religion. It seeks to ensure that those that preach religion are qualified, trained and certified by their peers to do it. And some sections of the media have made it as if the law was drafted against Christianity. It is most irresponsible and I have nothing to say except to leave the matter to God."